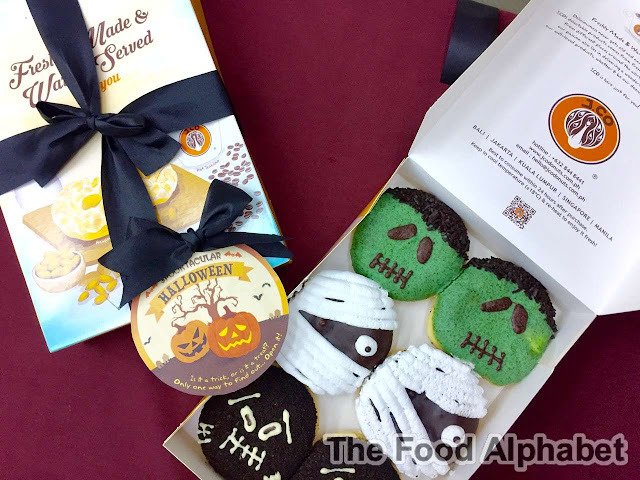 The Food Alphabet and More: No Tricks Just Treats with J.Co's Spooktacular Halloween Donuts! No Tricks Just Treats with J.Co's Spooktacular Halloween Donuts! A Spooktacular Halloween at J.Co Donuts and Coffee! Cranky Frankie - No one can imagine that in a frightful face, there is a heavenly treat. 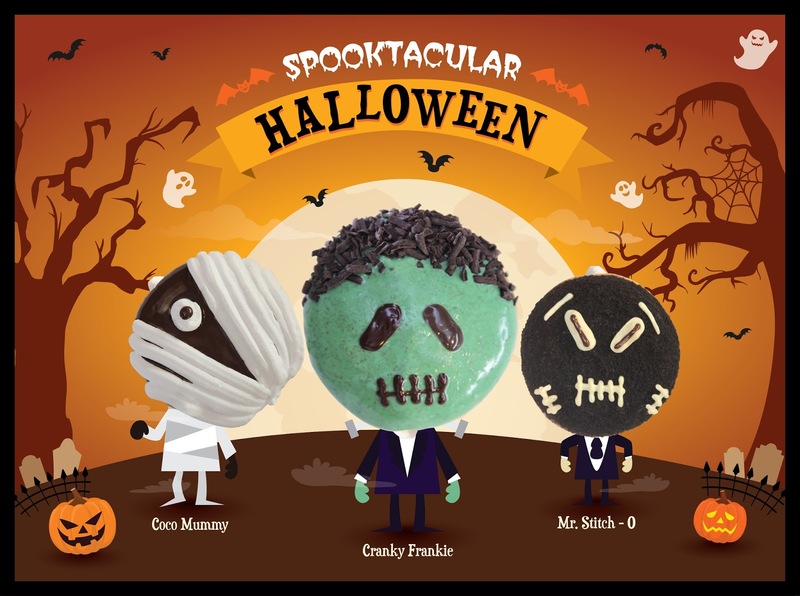 Cranky Frankie is an Avocado Cream Filled Donut, fused with Milk Chocolate and Choco Crumbs. Coco Mummy - There is more than what meets the eye. Unwrap Coco Mummy’s bandages to reveal the smooth dark chocolate that you’ll surely love. Mr. Stitch O - Behind the creepy face lies an irresistible goodness of Oreo, White Chocolate and Cream Cheese. 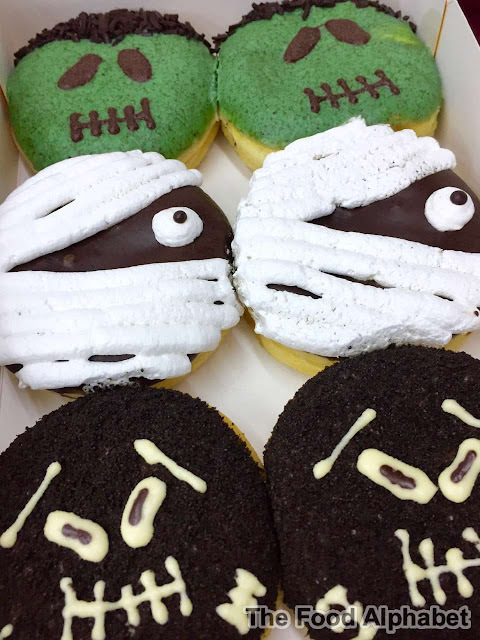 Hurry and get your special Halloween Donuts at your favorite J.CO store now as these Spooktacular Halloween Treats are only available until November 02, 2016.